A restaurant expert witness can be called upon to provide opinion, testimony, and reports for a range of incidents, including slips and falls, safety and security, and restaurant operations – just to name a few. Attorneys get in touch with possible experts to check if they are willing to serve. A positive response means the expert will be given all the information and details pertinent to the case. Restaurants or any other establishment in the hospitality industry can be subject to disputes, insurance claims, and lawsuits each year. All the parties involved seek the opinion of an industry expert to help their case. Experts make analysis and create reports based on industry practices, and industry research and information. They rely on their own in-depth knowledge of the industry and may also refer to studies in order to support their opinion. Experts are qualified individuals who know a particular industry very well. In the case of a restaurant expert witness, they are not only well versed about restaurant issues, but also of bars and nightclubs. If an establishment gets embroiled in trouble and may escalate into a case being brought to court, then attorneys will need expert testimony to strengthen their case. An expert is very familiar with the subject they are being asked to help with. But the expert’s testimony also needs to be admissible. Meaning, their opinion needs to be validated through reason, as well as be relevant to the facts being raised. An expert witness isn’t involved with your restaurant business. As such, they are expected to provide their opinion without any bias. The views they will express are meant to be fair and objective. An expert witness for issues involving the restaurant industry should have a deep understanding of the sector and its associated problems. They would have most likely been offered to provide expert opinion on several occasions regarding similar matters. Injuries to customers and employees, partnership disputes, and claims of harassment and discrimination are just a few of the issues restaurant experts are being asked to help with. Experts may cite similar cases or even bring up industry publications to strengthen the case they are being asked to help out on. 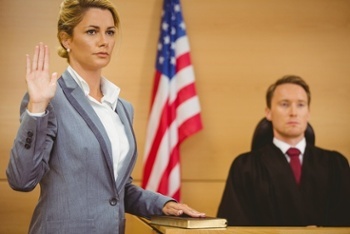 Sometimes, the decision of a case can rest on the testimony of an expert. A restaurant that is being wrongfully sued can win their case with the help of expert testimony. An expert’s opinion is sometimes more than enough to convince the court of any wrongdoing. For instance, a dining establishment may be sued for negligence. An expert can prove that the business did everything to ensure the safety of their guests. For more information on how a restaurant expert witness can help your case, contact Perry Group today.